Fine painted finishes for kitchen cabinetry. Fairfield and Westchester CT. In business since 1986, Preference Painting, LLC, can handle all of your Interior and exterior painting. We provide a very clean and professional paint job. Inside or out, with knowledge and experience to achieve a lasting result. We put the customer first with respect for your home and privacy. 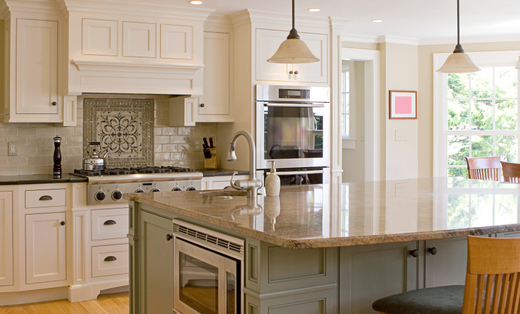 Some of our specialties include cabinet refinishing, fine finishes on stained projects and more. The owner Alex is always available to the customer and on the job each and every day to maintain quality. We look forward to working with you and making your home a place you love to be .